Shaving Bumps and Ingrowing Hairs - For use on legs, bikini lines and underarms - we believe there's nothing like it anywhere! Use with electrolysis -Apply before treatment as a cleanser. Apply after treatment to help clear redness and minimise post-treatment "bumping". 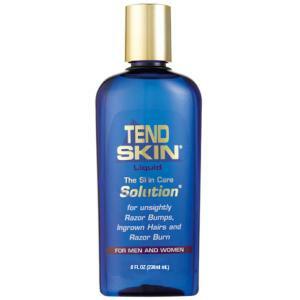 Use with waxing - Applying Tend Skin before waxing will ease the wax "pull". The hairs will feel loosened. Applying after waxing helps clear the skin and minimise next-day "bumping". 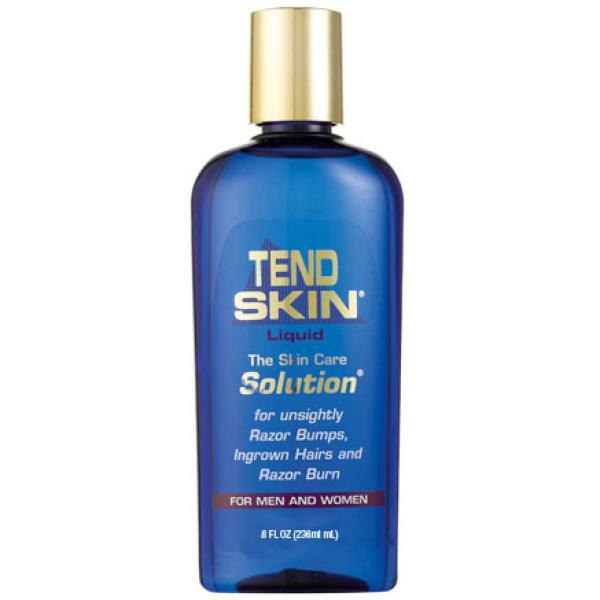 Absolutely incredible, recently started getting ingrown hairs and started using the product asap and was shocked at the immediate effects, my best by grooming product to date. Literally amazing stuff. I've had a patch of in growing hairs and bumps on my neck since I started shaving. I received my Tend Skin the day after ordering it, and, not having any cotton wool to hand, used some toilet paper to put on the tiniest amount. When I looked in the mirror 10 minutes later, the bumps had virtually gone. After using it for a couple of days there is the barest trace of them left. It's only downside is the fact it smells like screen cleaner, but this fades almost instantly anyway. Great stuff. I've been using this product for about 6 weeks now. It started working very quickly, but it took me a week or so to get the right frequency of use for my skin. My ingrown hairs have all gone now though and the smell doesn't bother me, it only lasts seconds and you can use balm or fragrance over the top once it's dry. I'd say the only down side is the slightly high price - but I'll buy the bigger bottle next time! Super product, if a little pungent. Was dubious of reviews before but worked excellently in only 3-4 days. No bumps or redness. Does sting a bit though! Fantastic - a must ! Tried this to see what all the fuss was about - and glad I did! Have had cluster of bumps from chicken pox ten year ago, resigned to always having it and razor bumps when I did the 'neck crawler' stubble. Put this on, and the speed it worked is amazing - within the day saw visible improvement. Can't give it five stars as the pungent smell lets it down, but I guess this is the compromise for a fab product? BELIEVE THE HYPE ! Been using this for over two weeks now. It did seem to work at first........ But now it doesn't seem to do anything. I still get the odd ingrown hair on my neck & although it has removed the redness from my neck, it has not from the rest of my face (around my chin & jaw line)..... There are better products around.